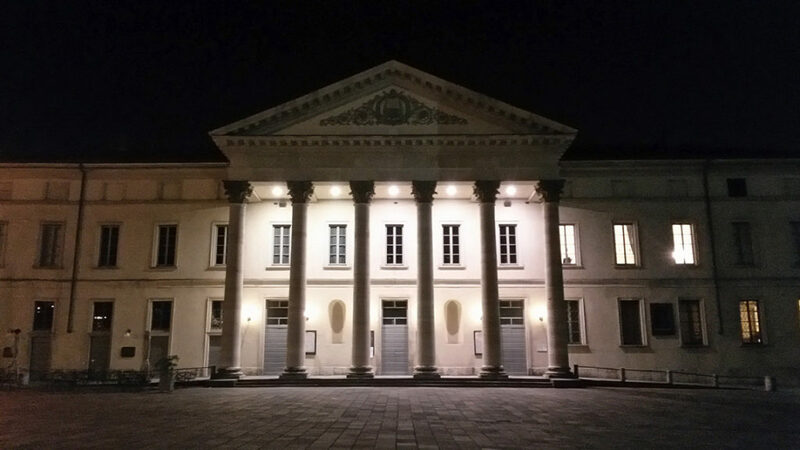 The Teatro Sociale was built in 1813 as a monumental, neo-classical structure by the architect Giuseppe Cusi, upon the ruins of the medieval castle of Torre Rotonda. 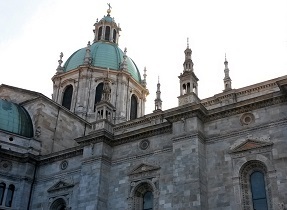 It is the largest and most important theater and opera house in the city of Como, and is also a cultural point of reference in the artistic and musical scenario of Italy. The theater saw its golden age during the early 1800s. In 1823, Nicolò Paganini performed in a virtuoso violin concert, followed in 1837 by Franz Liszt’s masterly piano performance of his composition La serenata e l’orgia. Over its two centuries of history, Teatro Sociale hosted a majority of the greatest opera artists of their respective eras: from Carlo Gomes’ Salvator Rosa in 1883, to Vincenzo Ferroni’s Ettore Fieramosca in 1896, to Pietro Mascagni’s Iris, Amica, and Isabeau in 1905, 1906 and 1932, respectively. In 1943, the Teatro Sociale established a collaboration with Milan’s famous theater Teatro alla Scala, which become unusable after the bombings that destroyed the capital of Lombardy during World War II. Thanks to this partnership, many popular artists of that time performed in Como: from Basiola, Del Monaco, Zeani, and Kabaivanska, to the greatest music conductors of all time: Toscanini and Muti. Up until the ‘60s, the theater’s outdoor stage (the Arena) was intensely used for all kinds of plays and concerts, but was then closed and transformed into a parking lot due to economic difficulties. 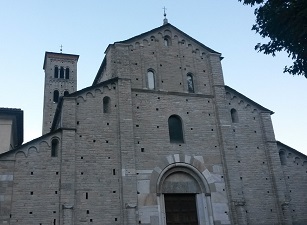 The theater was later restored and repaired in 1984 thanks to the efforts of the Società dei Palchettisti. In 2013, AsLiCo (Associazione Lirico Concertistica) opened the Arena again with the ambitious 200.Com project, whose purpose was to celebrate its bicentennial through the representation of the composition Carmina Burana. 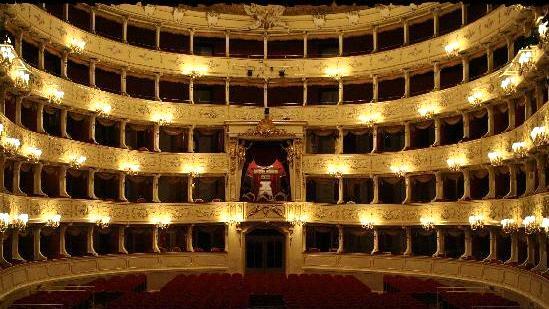 Today, Teatro Sociale is much more than just an opera theater or a musical/ballet stage. 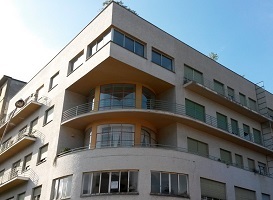 Many of the most famous contemporary artists have made a stop in Como: from the indie rock band Baustelle to the world famous songwriter Franco Battiato, and not to mention great international artists such as David Crosby or Jackson Browne. The theater is also the home of many drama, puppetry, and dance schools (classical, modern-jazz, and even flamenco), and hosts many Opera Education projects and workshops for children of all ages. Since 2012, every year in July, the entire city of Como is animated by the Festival Como Città della Musica, a music festival organized by the Teatro Sociale itself. Many international shows take place around the streets, from tango and swing ballets to African and Japanese traditional music concerts. 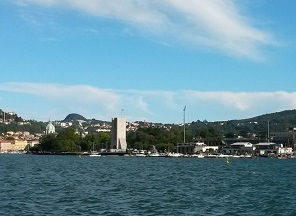 During the same time period, the theater also hosts part of the Lake Como Film Festival. The Arena becomes an outdoor cinema where people have the chance to see some great movies on issues related to territory and traditions.